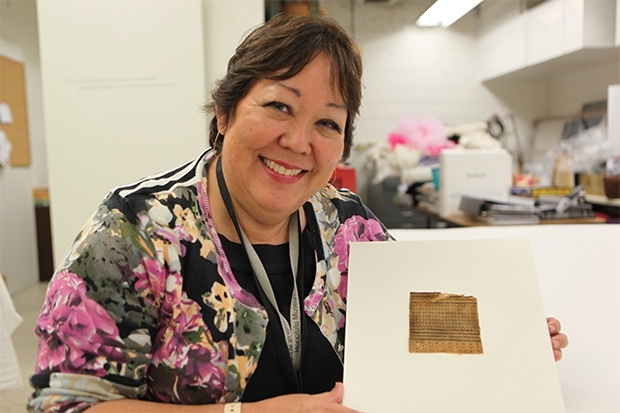 Surrounded by more than 6,000 textiles and costumes from around the world, textiles curator Sara Oka was faced with a dilemma—choosing her favorite work for a “Staff Pick” on the museum’s blog. Should she stay loyal to the textiles collection, or go with the work that inspired her artistic mind as a child? Having confessed this, Oka then proved her loyalty to the textiles collection by making a kapa fragment her staff pick.